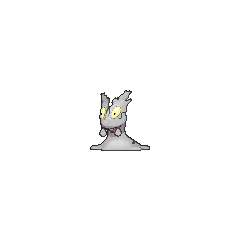 Slugma in game: 6,924 Who? Important notice! Pokemon Slugma is a fictional character of humans. Slugma made its debut in the anime as one of Macy's Pokémon in Love, Pokémon Style and was used in her battle against Ash in the Silver Conference. At the end of the episode, it had evolved into Magcargo. Natasha has a Slugma that, with her Grovyle and Electrode, was used to protect her watermelon patch. It first appeared in What You Seed is What You Get. 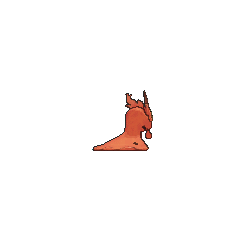 Flannery had two Slugma named Mag and Meg, one of which evolved to Magcargo in Poetry Commotion!. A Slugma appeared in the Hoopa's Surprise Ring Adventures short Heated Battle. 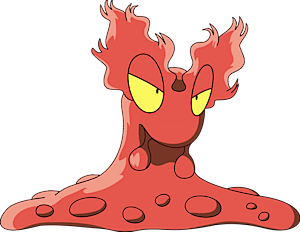 AG041 Slugma May's Pokédex Slugma, the Lava Pokémon. Slugma have intensely hot magma which circulates throughout their bodies carrying nutrients and oxygen to their organs. A trio of Slugma first appeared in Slugging It Out With Slugma, Professor Oak tried to capture them at the beginning but failed. The Slugma trio later appeared outside Earl's Pokémon Academy at Violet City where they attacked the academy until they were captured by Crystal. 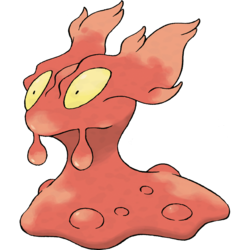 In The Last Battle XIII a Slugma was one of the Pokémon sent to help the fight in Ilex Forest. Blaise uses his Slugma to compose illusions by generating waves of distorted air via heat, forcing targets to relive their worst memories.